Rydges Sydney Airport dining area. 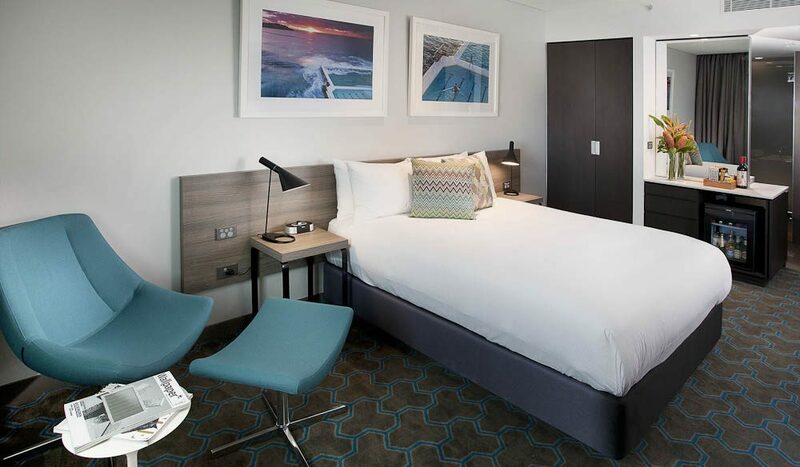 Sydney Airport officially now has a hotel-accommodation option close to its terminal boundaries. 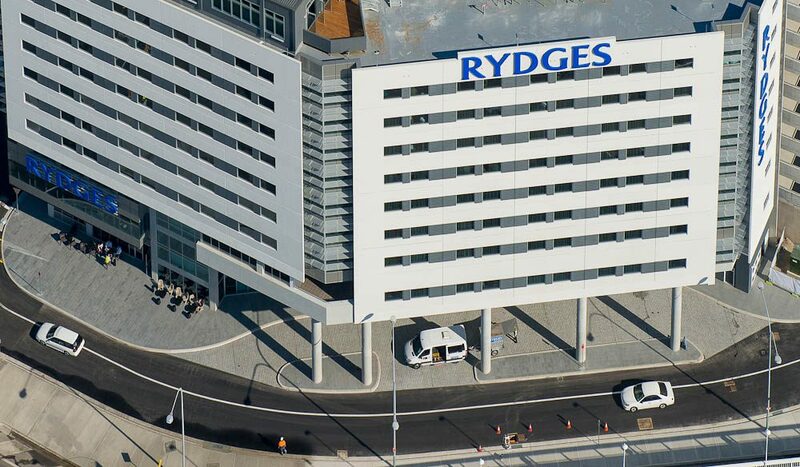 NSW Premier Barry O’Farrell presided over the opening ceremony for the $79 million Rydges Sydney Airport on Friday, 28 June. 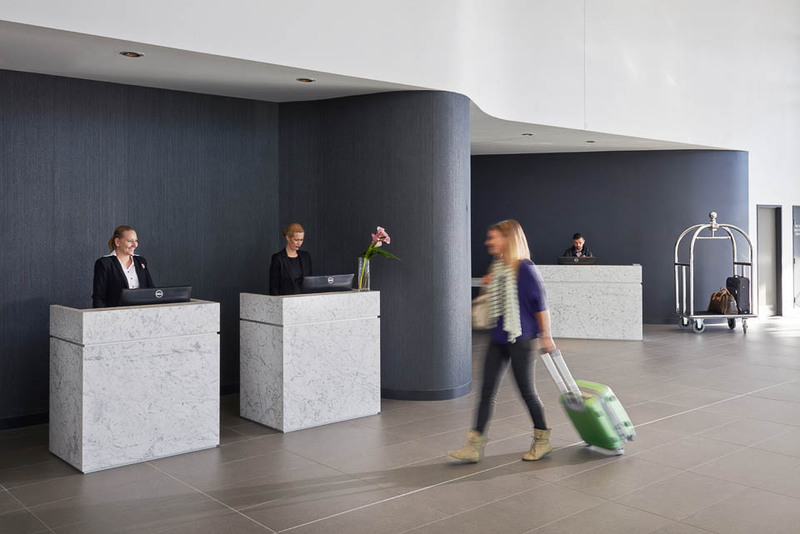 There was much anticipation surrounding the 318-room hotel’s opening, the first almost-in-terminal accommodation option in Sydney, after a build time of 58 weeks. It is a couple of minutes’ walk from the international terminal doors to the 11-storey hotel’s lobby. 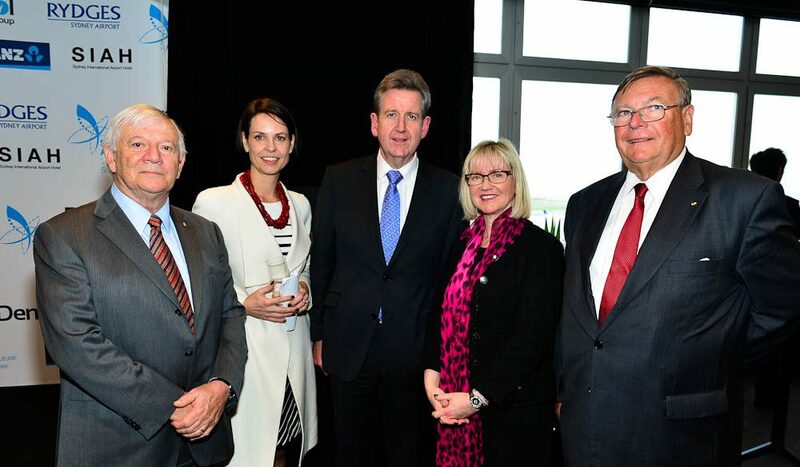 “It’s important that we have the facilities to service those who want to do business and a hotel like this, located beside an international airport, is critically important,” said O’Farrell. 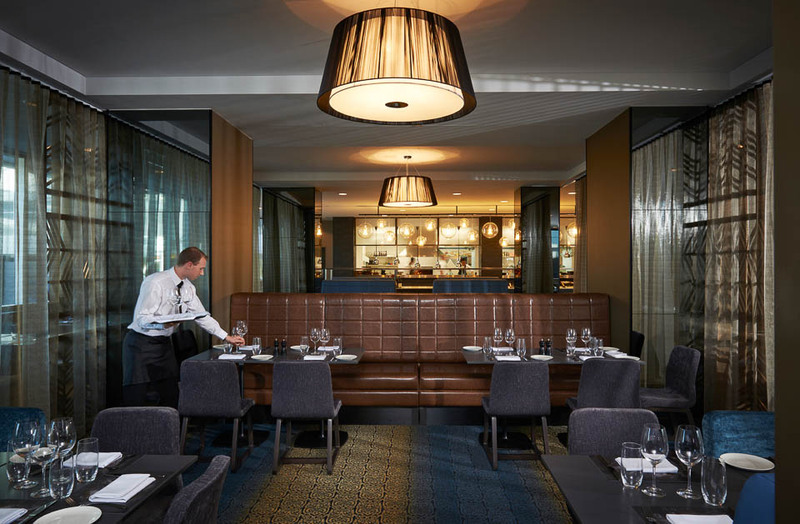 The hotel has 24-hour facilities, conference rooms, live flight-departure screens and several food and drink options, including Blackwattle Grill and Touchdown Sports Bar. Prices start from $202 for superior queen rooms through to $402 for executive king suites.